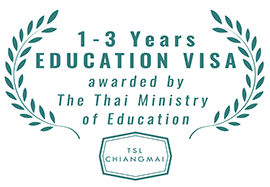 The non-immigrant ED visa or in short: Education Visa is one of the most popular ways to stay in Thailand longterm, while at the same time learning something useful. 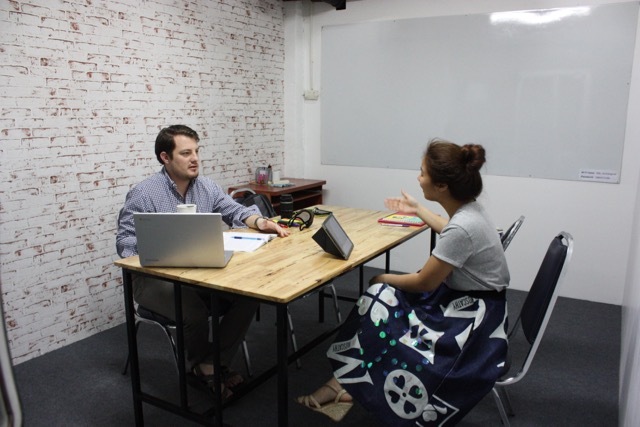 Most foreigners choose to study Thai language because obviously it's useful to speak your local lingo if you stay longer, but it depends very much on your own interests and the amount of time and effort you want to spend on a study when choosing your course. The PROCEDURES to get an ED visa are exactly the same for whatever course you do, however the CONDITIONS of study are not the same. This means that in one school you would need to study 400 hours per year while in another school you could do with 180 hours per year. The reason for this is that while the laws are national, the authorities that approve the school program are local, so there are variations in which schools and which programs are allowed to provide the ED visa. This can depend on different interpretations of the rules by local authorities and it can also depend on the relationship of a certain school with such authorities. Because conditions of the study program vary amongst schools, you as a foreign student can benefit from that by choosing the program that best suits your needs. The procedures for student visas are a bit different from other visa. The school you will be attending plays a central role. Together with the school you will have to prepare and submit sets of documents before and during your year of study. 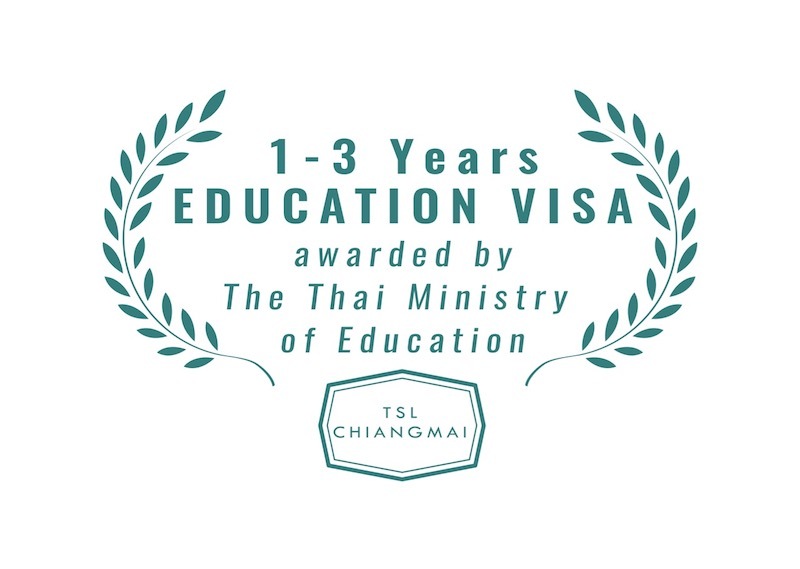 Not all schools provide programs that allow for the ED Visa, only schools which have been approved by the Ministry of Education. Most foreigners choose a program based on their interests, the area they (want to) live in, and the conditions of the study. To make things easy, we have selected a number of good study programs for you in various areas of town, with attractive study conditions. You need to fill out a set of documents with the school. You need to submit copy passport and passport photos and you need to specify in which Embassy / Consulate you wish to pick up the first entry of your ED visa. 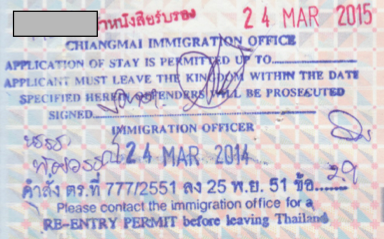 This means that you cannot just stay on in Thailand if you're applying from within Thailand, you need to travel to a Thai Embassy / Consulate abroad to pick up the first ED visa entry. Most foreigners in Chiang Mai choose to pick up the first entry in Vientiane, Laos, because this Embassy is rather smooth and not so far from Chiang Mai, so it will incur not too high travel costs. 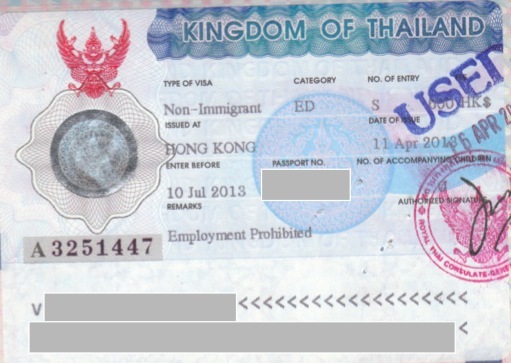 However, if you're applying from abroad, you can save yourself time and money by applying for your ED visa before you enter Thailand. You can then simply pick up the first entry in the country where you are at that moment. Note that the time needed to process your application is about 3 weeks. Go to the Embassy / Consulate that you selected and ask for the ED visa. 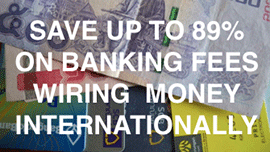 Bring passport, passport photos, money and proof of income or savings. Some Embassies are stricter than others, it's better to bring sufficient proof of everything so that you can answer in case of further questions. - two year visa history, personal history check and purpose of attending the course. 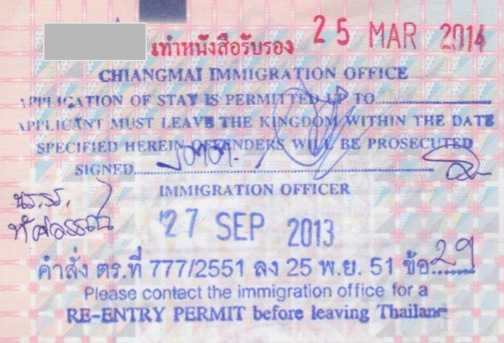 From the date that you enter Thailand, your first entry lasts 3 months. 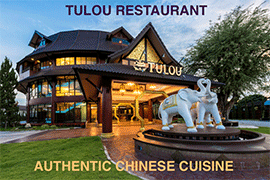 Your stay in Thailand starts from the moment that you enter Thailand. Immigration demands that you report to them every 90 days. About 14 days before your 90 days are up, you should be in contact with your school to prepare documents to report. Some schools are more active and more organised that others, so keep an eye on this calendar yourself. Some schools send admin staff to go with you, others let you pick up the documents by yourself and you have to go alone. If you report later than 90 days, you have to pay a fine to Immigration. It's better to report early and you're allowed to report up to about 14 days before. If you study Thai language, Immigration may ask some questions to students randomly to check if you're really studying. If for whatever reason you need to leave the country during your year of study, you need to get a Re-entry Permit from Immigration, if not you will lose your visa. You need to apply for a single re-entry or a multiple re-entry permit (different prices) at Immigration. Before your 1-year ED visa expires, you can extend it by applying for a new year of study. Again, you need to pick up the first entry outside of the country. You need a few weeks of preparation time for that. As of now, the rules are that you can apply for an ED visa with the same school for a maximum of 3-4 years (often depends on the school). the fees for 90-day reporting to be paid to Immigration: THB 1,900 for each entry, so for a period of 1 year you pay a total of THB 5,700. 치앙마이에서 학생 비자로 1년 간 공부하고 싶습니다. 올 해 입학이 가능 한지 여부와 가능하다면 학생비자를 받는 과정을 다세히 알고 싶습니다. My name is Ahmed, I'm from Iraq and currently living in Bali, Indonesia. I'm looking for possibility to visit in Chiang Mai and stay there for 1 year under student visa. Could you please share more details and fees with me. I was always curious studying abroad for US students is more or less difficult than studying at US Universities Our foreign students have many abilities like educational services, but what about Thai? Hello David, for an ED visa, some embassies require proof of sufficient assets to study during one year. You can study in theory unlimited time, but the cycle is 3 years: first year you need to leave first to get the first entry of 3 months, then renew for 9 months, the following 2 years you can easily renew that. Then the cycle starts again. It is, however, likely that ED visa requirements will become somewhat stricter in the future, meaning proof of income may be asked more often or may become standard. 1. For get a ED visa, does I need a income of money or a asset of money? 2. 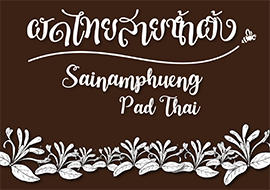 How long can I study in Thailand? 10 years or less.